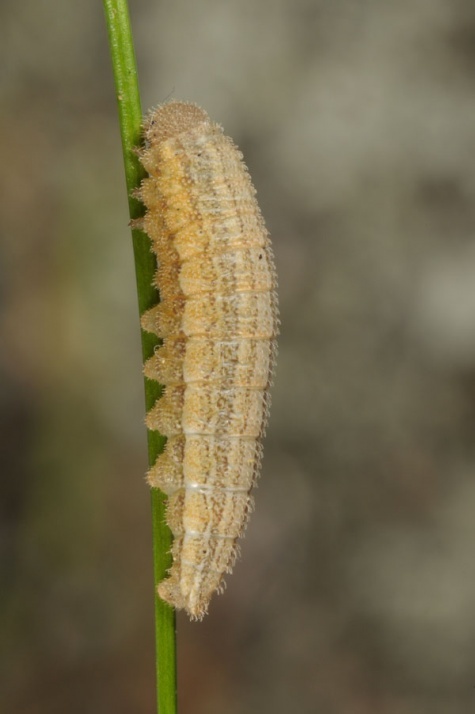 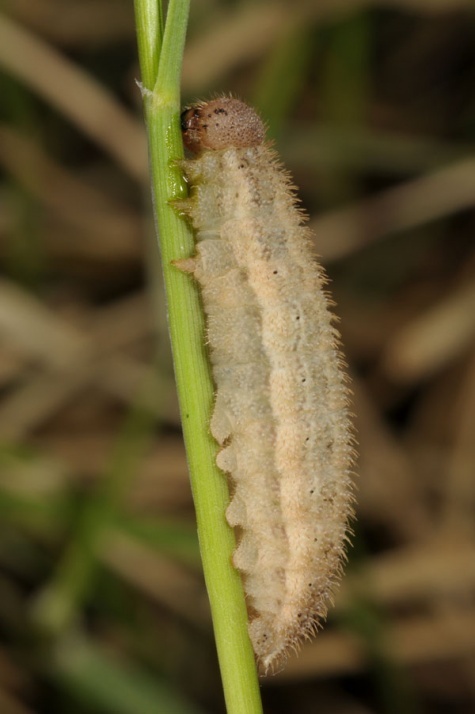 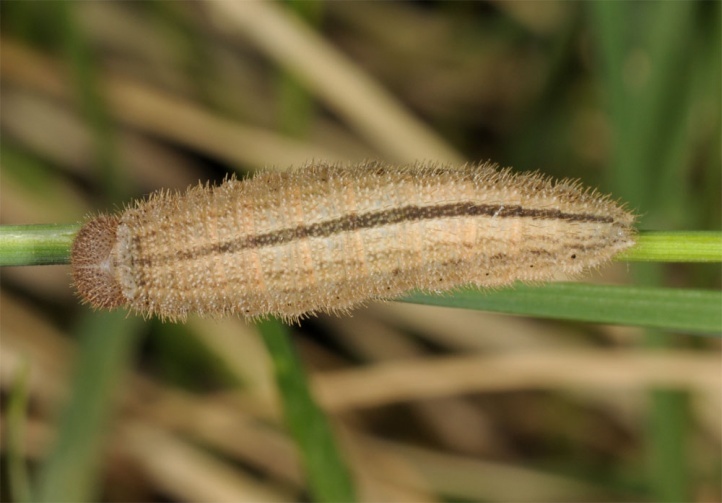 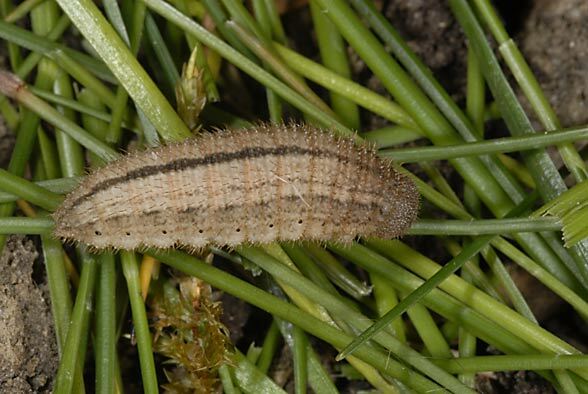 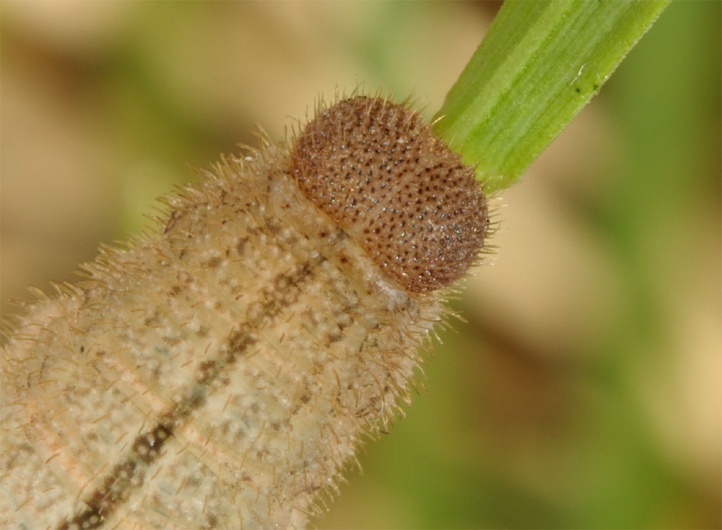 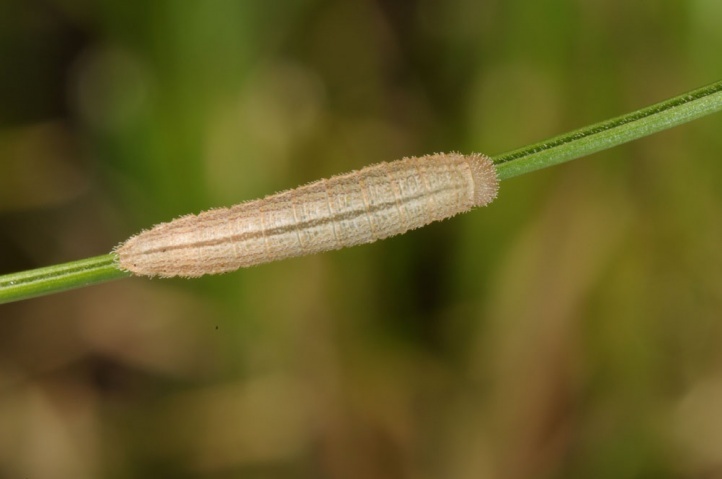 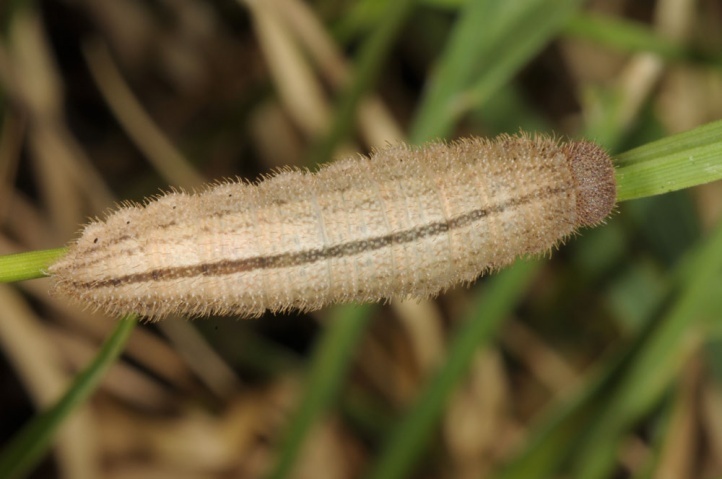 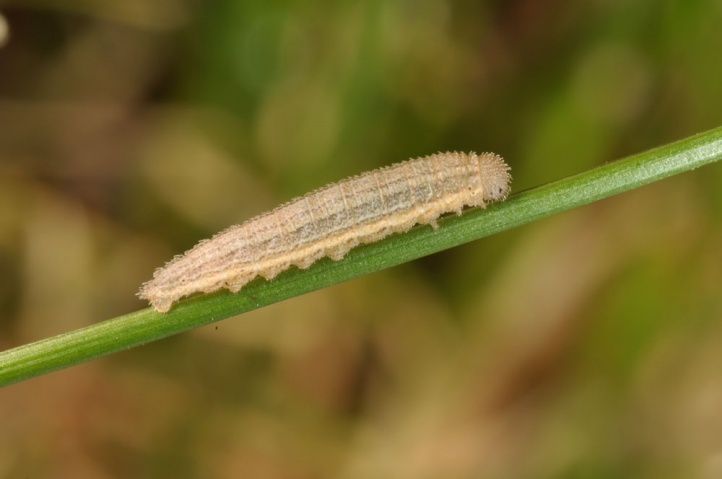 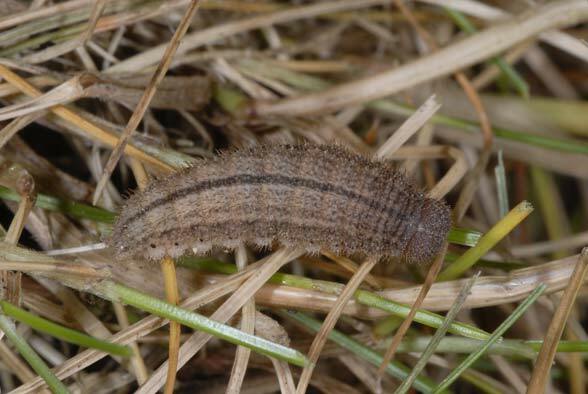 The caterpillars feed on grasses (Cyperaceae and Poaceae) of usually base-rich sites. 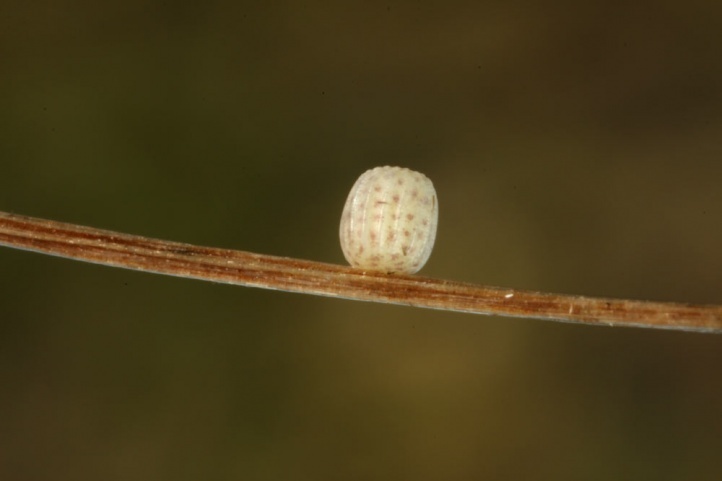 Erebia pronoe inhabits pastures, meadows, rocky slopes and clearings in the Alps and other mountain ranges from about 800m above sea level up to over 2300m above sea level, most often on calcareous ground. 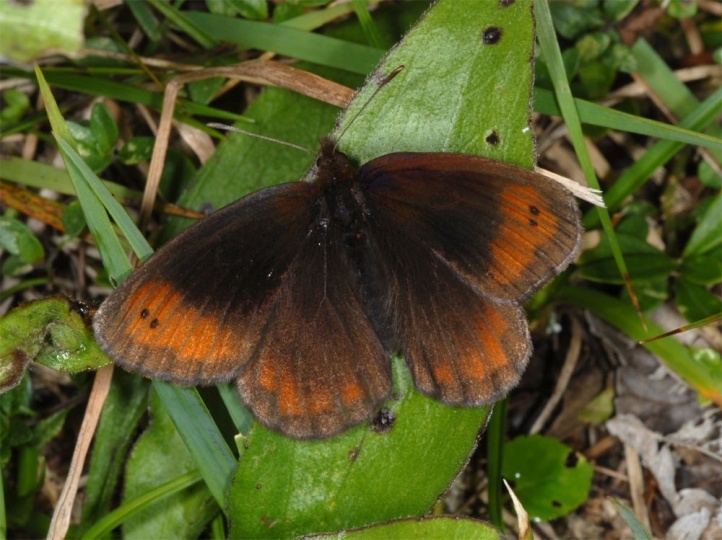 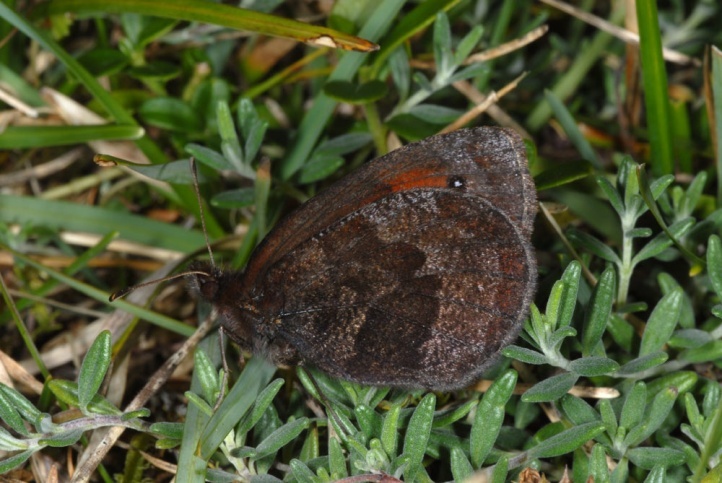 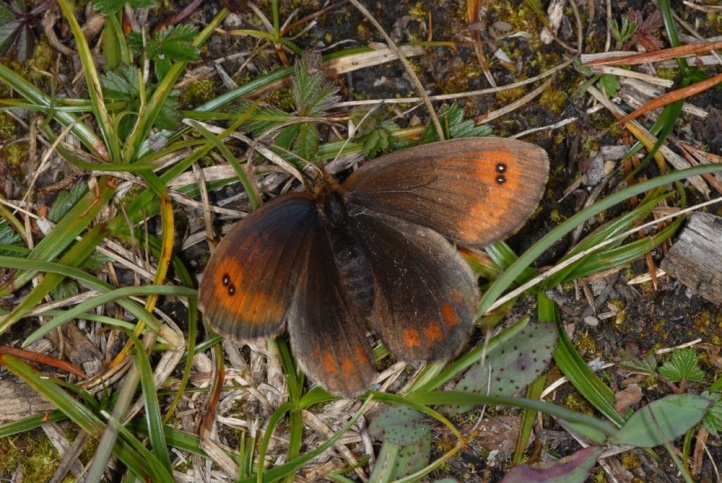 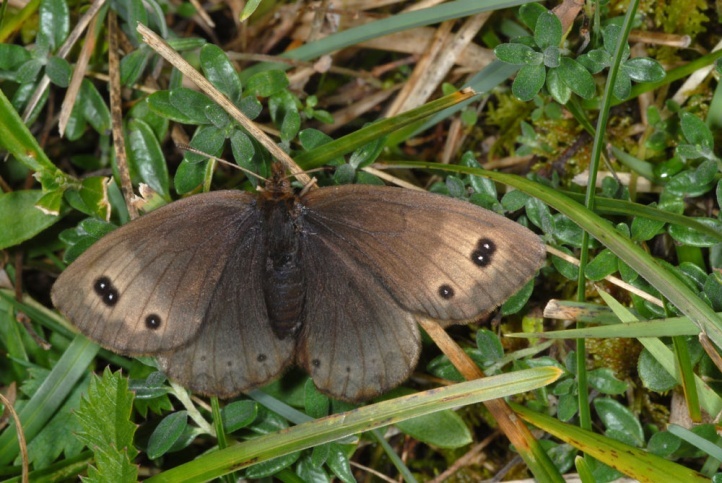 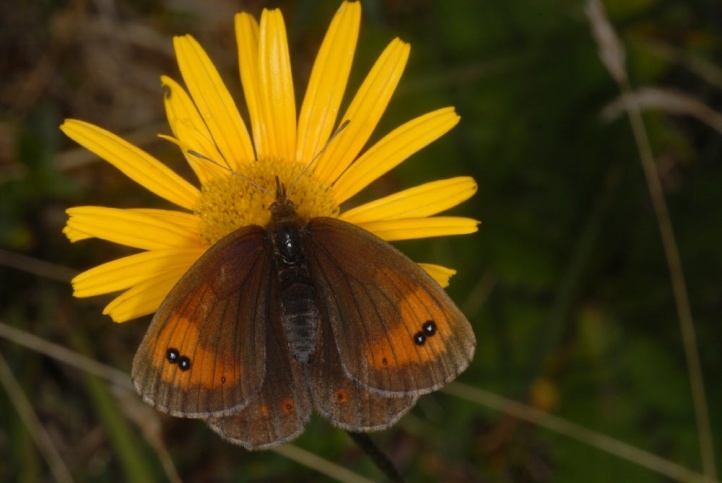 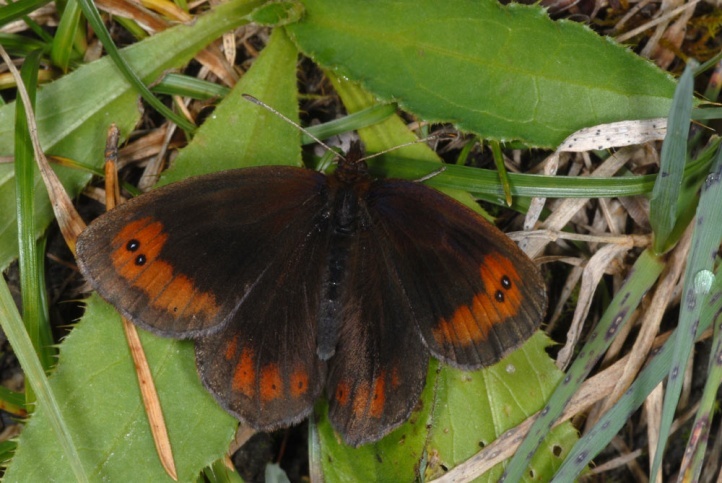 In the northern and regionally also the Southern Alps Erebia pronoe is quite common. 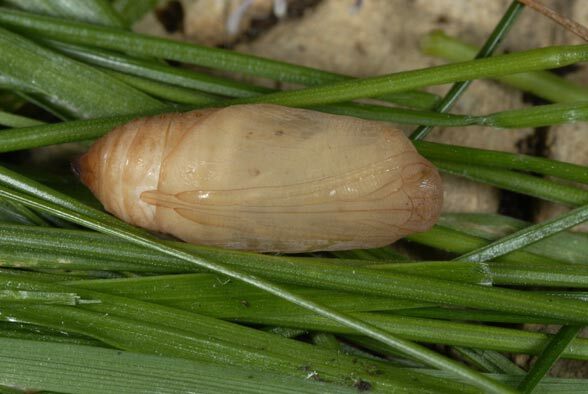 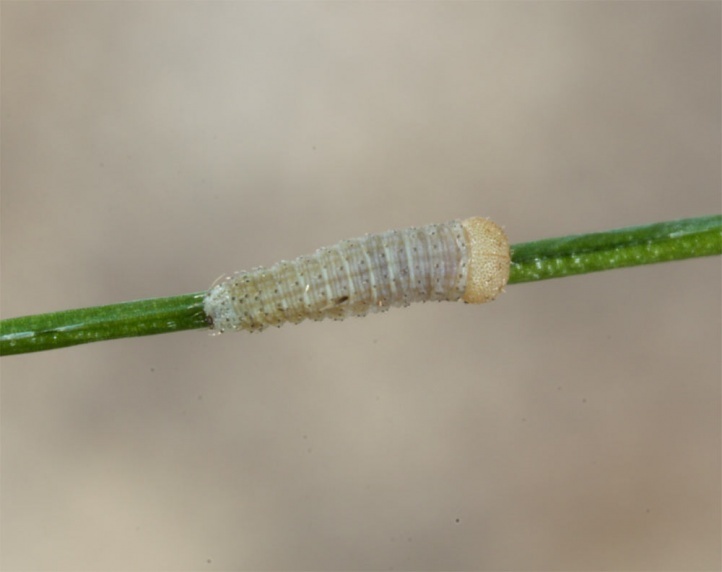 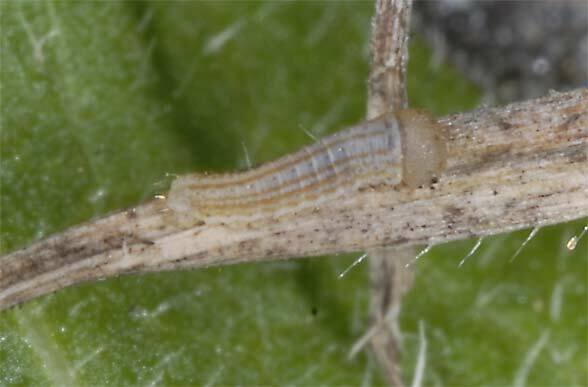 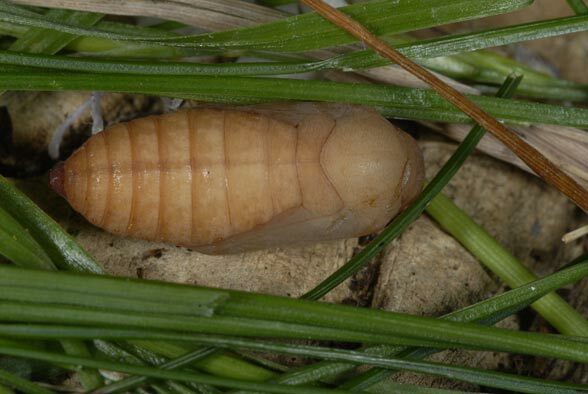 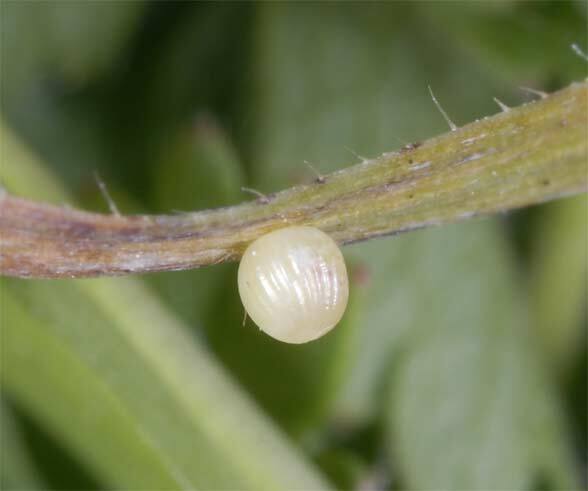 Oviposition sites are more in the nutrient-poor areas. 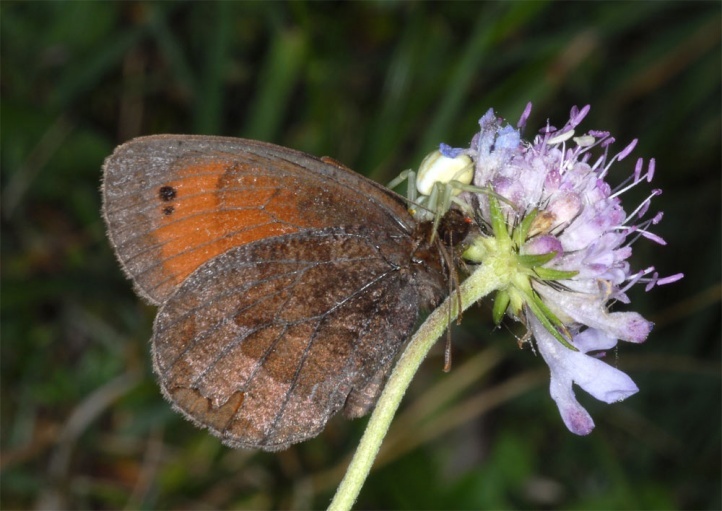 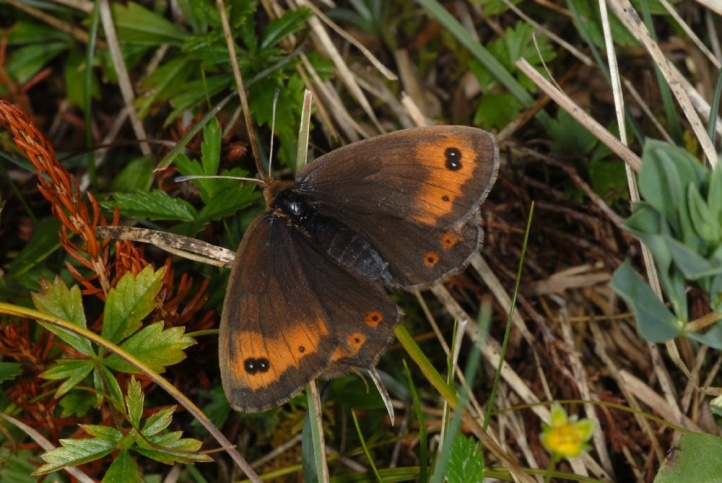 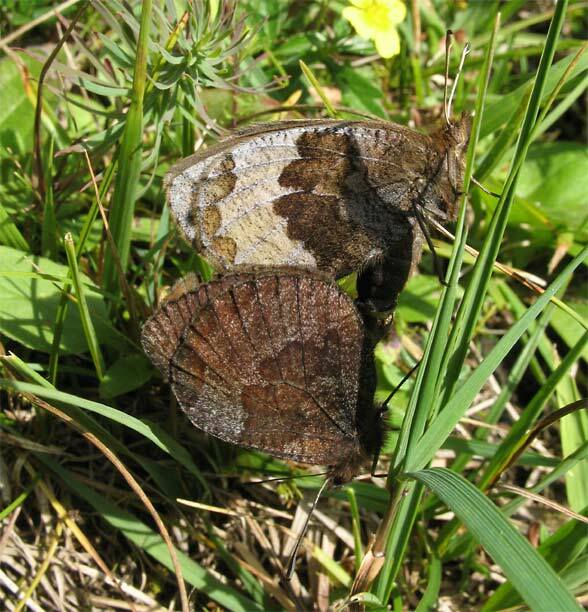 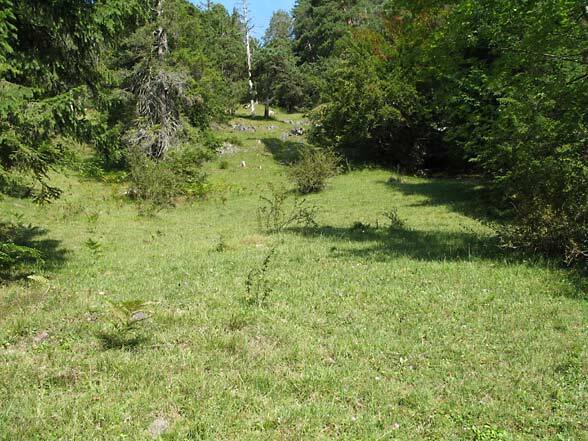 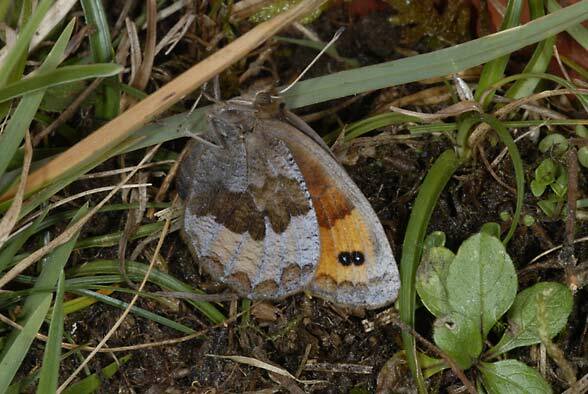 In the Lech valley in western Austria, the butterflies occur on the southern slope down to the pebbly and dry, pine-rich floodplain. 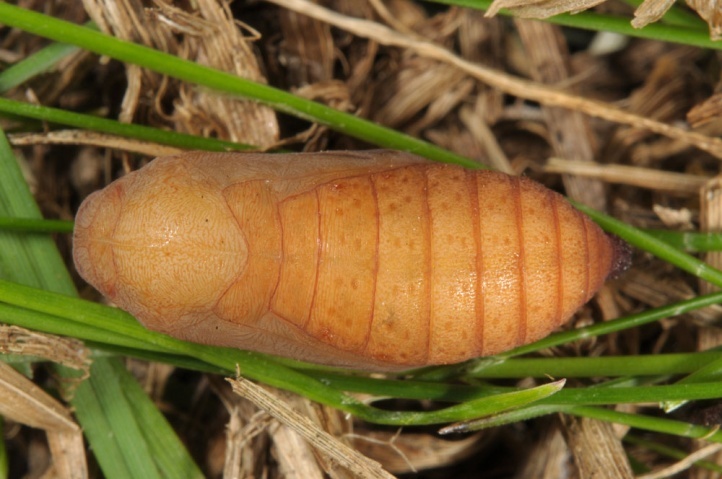 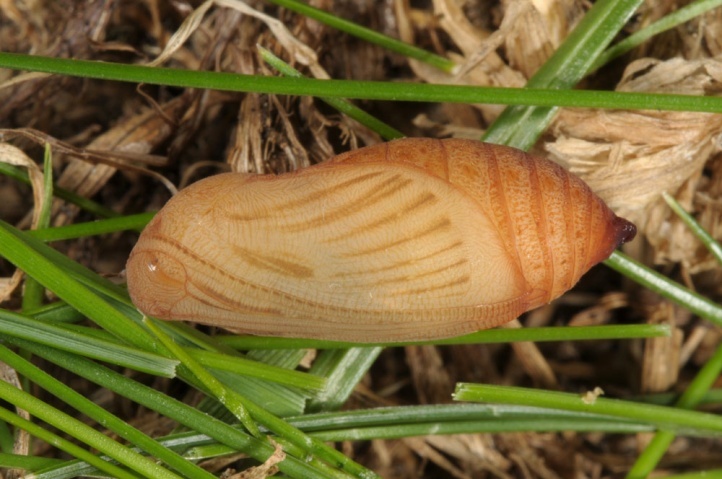 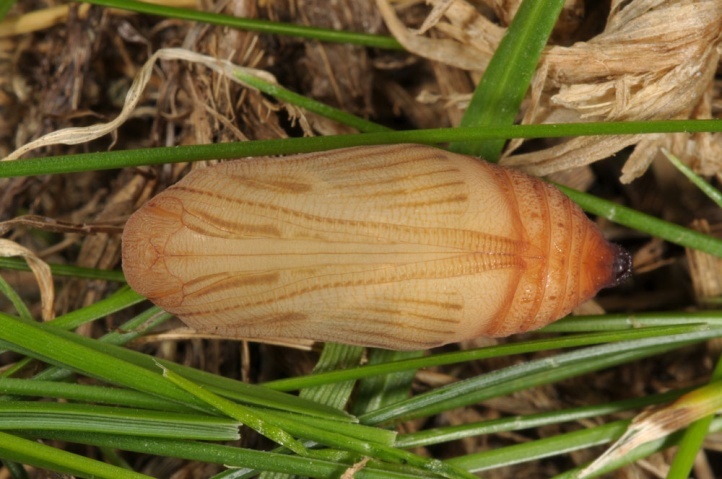 Erebia pronoe hibernates as L1 and grows only little in autumn, but gnaws on grasses and sedges. 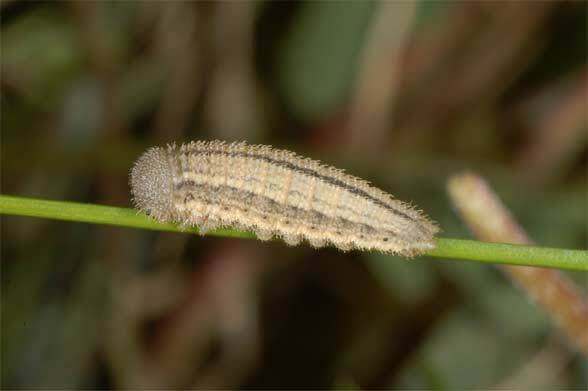 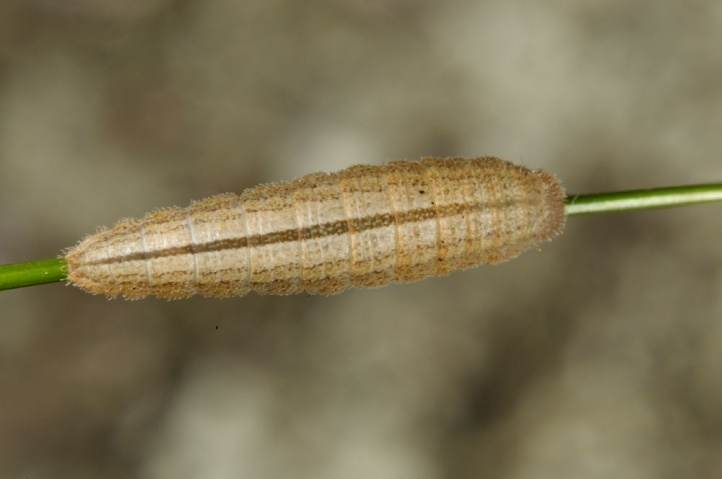 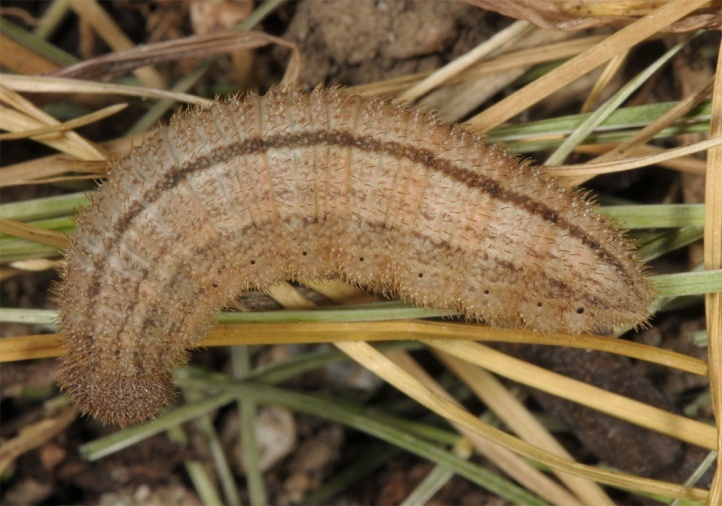 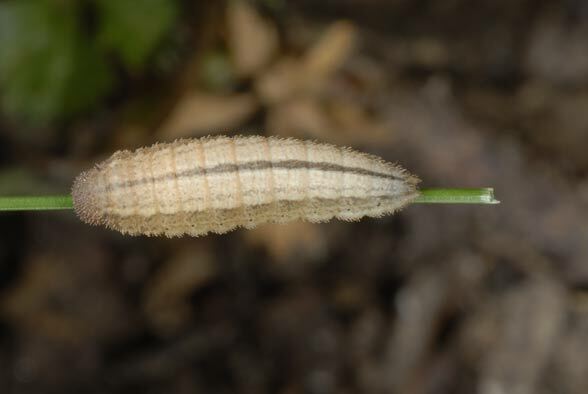 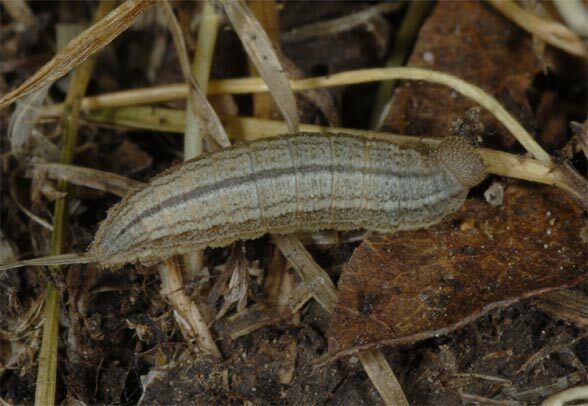 The caterpillar is mature in late June or more often not before July. 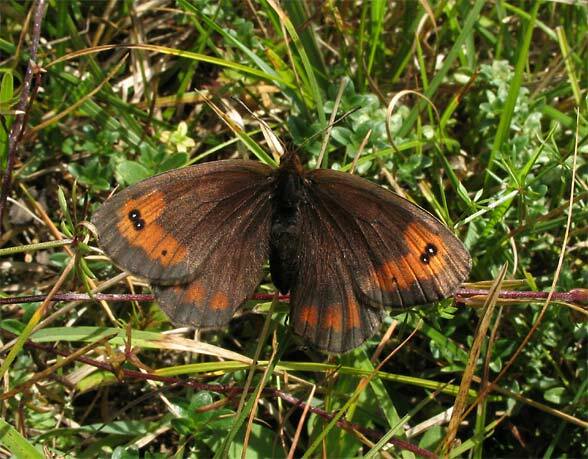 Therefore, the flight time of the single generation is late from late July to mid/late September. 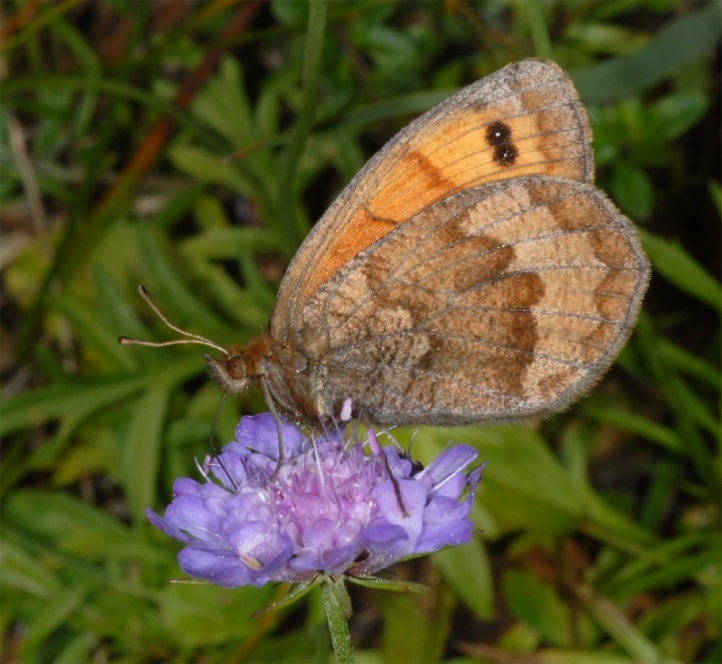 Butterflies love to visit flowers (Scabiosa lucida, Centaurea etc.). 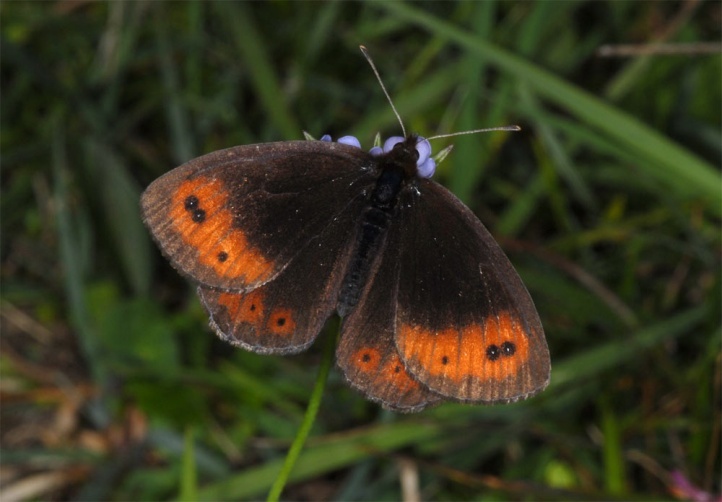 Erebia pronoe is endangered most often only in lower sites by habitat changes (afforestation, abandonment, forest/pasture separation, infrastructure). 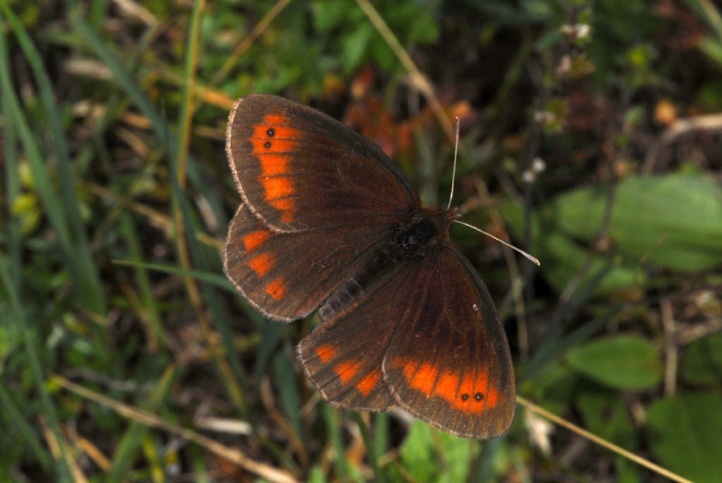 Erebia pronoe is distributed in the Alps. 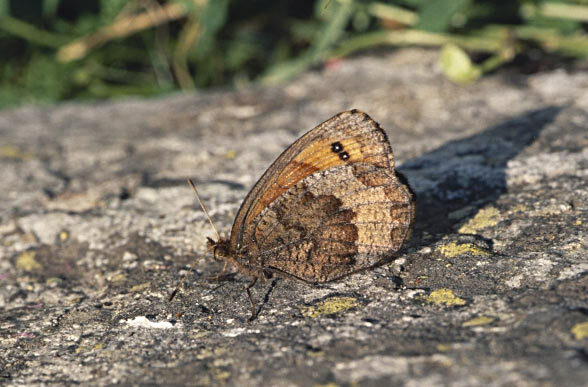 In addition, it is found in the western Swiss Jura and the French Jura Mountains, in the Pyrenees, in the Tatra Mountains and the Carpathians, and very locally in the Balkans.